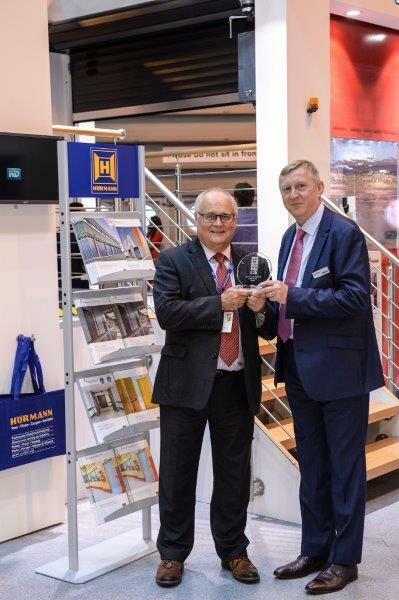 Leading door manufacturer Hörmann (UK) celebrated a successful week exhibiting at IMHX 2016 after being recognised for a Design4Safety award at the 2016 SHD Logistics Awards. As well as picking up such a prestigious award, Hörmann also supported the event by sponsoring the Warehouse Efficiency category. 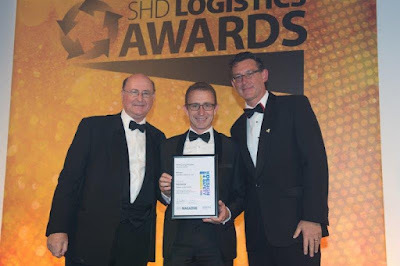 The Leicestershire-based door manufacturer’s Safety Light Grille, which looks to eliminate the potential harm to people when passing under spiral and high speed doors, was shortlisted as a finalist for the Goods in/Goods out category. The Design4Safety awards, organised by the IMHX and BITA, are awarded every three years during the IMHX trade show and all exhibitors to the show have the opportunity to enter. The awards focus on improving safety standards by highlighting the importance of improving safety standards and practices when designing a product or service.